THIS IS AN INITIAL BUILD OF ANDROID PIE FOR Mi 3 / Mi 4 (Android 9). BUT STILL MAKE SURE TO BACKUP EVERYTHING BEFORE YOU INSTALL THIS ANDROID PIE ROM ON Mi 3 / Mi 4. – Installing a custom ROM requires unlocked bootloader on Mi 3 / Mi 4, which may VOID your warranty and may delete all your data. Before proceeding further you may consider backup all data on the phone. – Here is the how to install TWRP for Mi 3 / Mi 4. – This recovery guide requires an unlock bootloader on Mi 3 / Mi 4. Boot into the TWRP custom Recovery to install this Android 9 Pie for Mi 3 / Mi 4. Download and Copy the Android Pie GApps and Mi 3 / Mi 4 Android 9 Pie AOSP ZIP files to your phone by using MTP mode in TWRP. Flash the Mi 3 / Mi 4 Android 9 Pie AOSP file that you have copied into the phone. Then flash the Android 9 Pie GApps (Android 9 Pie GApps package). 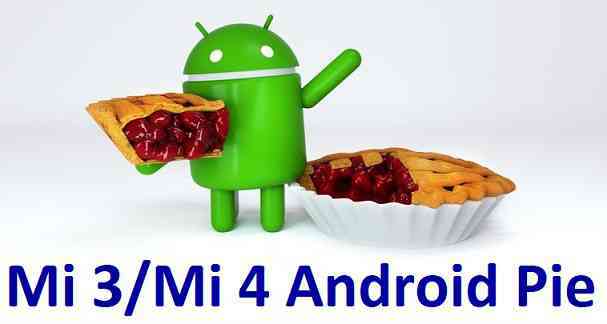 Reboot and Enjoy the Android 9 Pie on Mi 3 / Mi 4. Copy the latest Android 9 Pie for Mi 3 / Mi 4 ROM ZIP file, Android 9 Pie GApps package to the phone. Boot into TWRP Recovery on Mi 3 / Mi 4. – Make sure you have a latest custom Recovery that should be able to flash the Android Pie ROM update on Mi 3 / Mi 4. If you don’t have GApps after upgrading the Android 9 Pie on Mi 3 / Mi 4, then flash the Android GApps once again. Once everything is done, reboot and Enjoy the Android 9 Pie for Mi 3 / Mi 4. 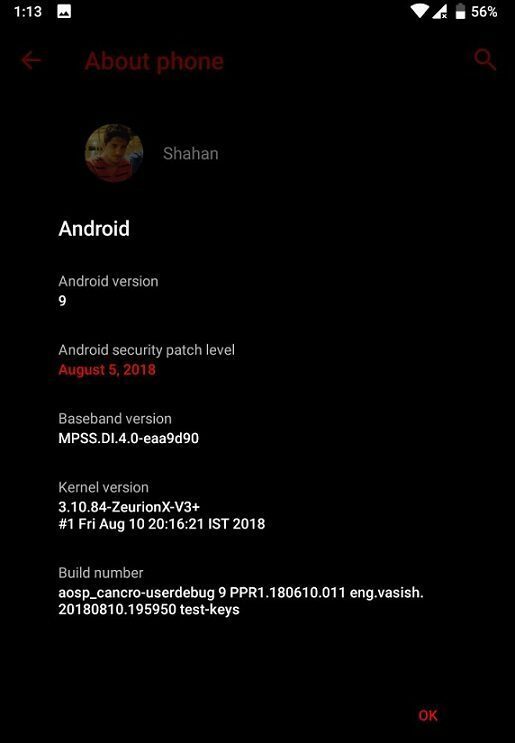 Below is the screenshot from a Mi 4 running on Android 9 Pie AOSP build. Stay tuned or Subscribe to the Mi 3 / Mi 4 (cancro) forum for Android 9 Pie ROMs, Lineage OS 16 ROM, Android Oreo 8.1 ROMs, LineageOS 15.1 ROMs, other ROMs and all other device specific topics.